Just under two hours away from the German capital is the city of Hamburg. Hamburg is a widely popular destination, and the charming city offers all kinds of great sights and interesting attractions. There is plenty to do in the city, lots to discover in Hamburg and beyond, with both cultural and natural attractions available. 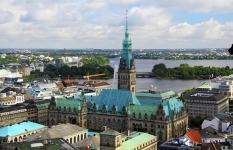 There are all kinds of landmarks, museums, gardens and other places to visit in Hamburg. The tower of Hamburg Michels can be seen from miles around, and is a famous landmark of the city. The tower can help visitors find their way around, as heading towards the church can help people find their way to the heart of the city. The centre of Hamburg never sleeps, and shops, small bars and restaurants offering local cuisine and regional dishes line the streets. At night, the centre comes alive with bars and live music. The 47 hectare Planten un Blomen park offers a more tranquil experience, and is famous for its water-light concerts and musical performances, making it a popular place for those looking to relax. The park exhibition includes a variety of native and exotic plants, while tourists can also visit the Chinese Garden. As the third-largest port in Europe and birthplace of the Hanseatic League, Hamburg has been an important European city for centuries. Millions of visitors come to Hamburg annually, and with more than 60 theatres, 30 cinemas, 60 museums and 100 music clubs, the city offers a broad and varied cultural base. For those who want to learn about the history of the city, Hamburg also offers a number of different museums, including the Emigration Museum, which houses the largest genealogical data base in the world. 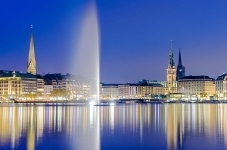 Other Hamburg attractions suitable for all ages include the planetarium in Hamburg and the Alster swimming pool . Speicherstadt, the largest timber pile founded warehouse district in the world, offers museums, a model railway and the Hamburg Dungeon. With Regiondo you can easily book Hamburg city tours and guided tours and discover all attractions the city has to offer. The area surrounding Hamburg also has a great deal to offer. Whether with the family or alone, a carriage ride through the picturesque Töpsheide can be relaxing and offers some beautiful scenery. If the weather is hot, cool off in the waters of Wohltorf or take a cycling trip up to Bredenbeker pond with a picnic. HafenCity is another popular destination, and offers a very diverse and varied experience. The Messmer-Tea Museum gives visitors a chance to learn about the history of tea, as well as the opportunity to taste a variety of different types of tea. HafenCity, in the Hamburg-Mitte district, also offers a variety of fine restaurants as well as markets and bakeries. Visitors can hop on hop off the Hamburg sightseeing bus or take a boat trip from HafenCity and view the city of Hamburg from the water.